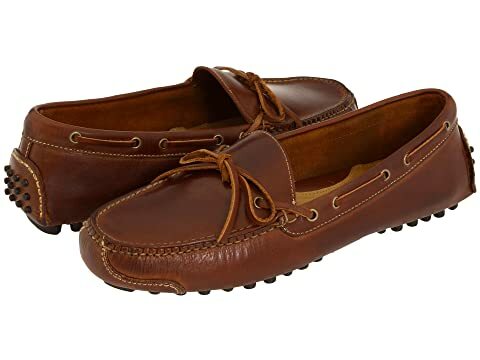 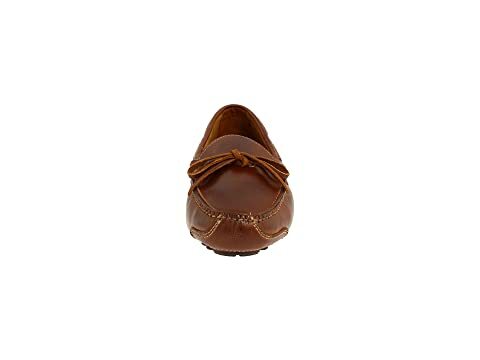 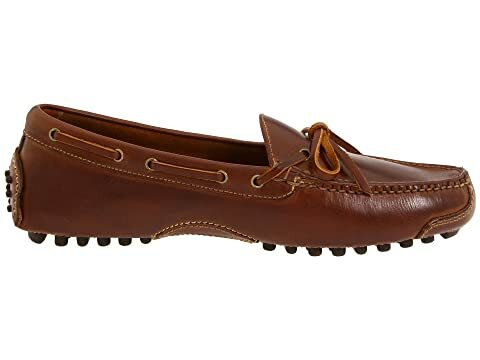 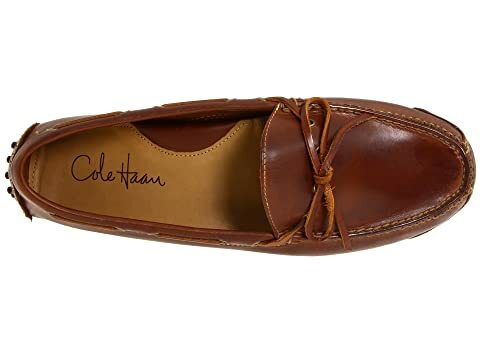 Dress your best at all times in this handstitched true moccasin construction. 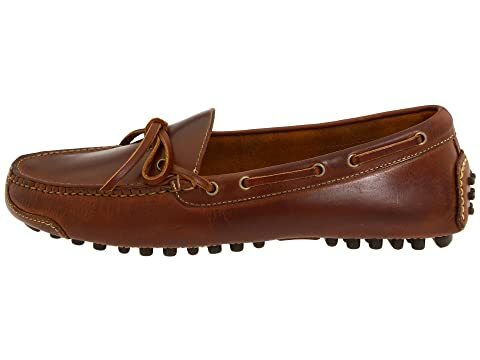 Hand-burnished croc print calfskin or waxy full grain leather upper. 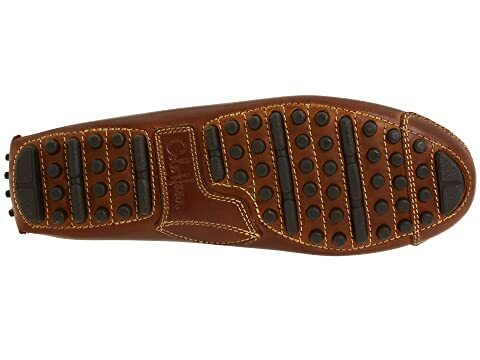 Unique, flexible rubber nubby driving sole and heel protector.